Run, Jump, and PLAY 60! Can you run fast? Jump high? Turn quick? Do you have what it takes to PLAY 60? 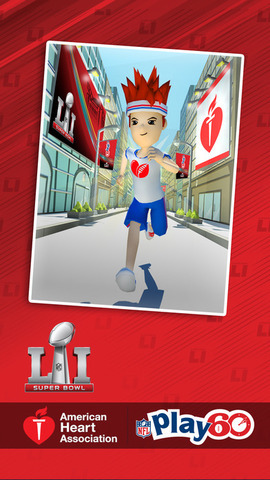 Collect coins, get football and heart power-ups, earn boosters, collect stars and get free stuff! Earn a spot on the leaderboard and compete against your friends! 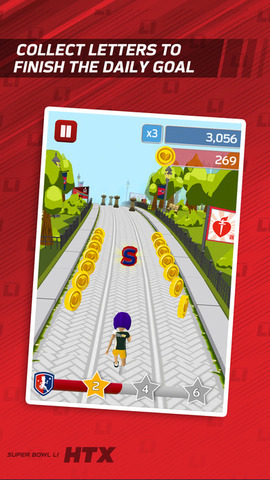 Jump into this super cool and fun endless runner game brought to you by the National Football League and the American Heart Association. YOU MOVE & YOUR CHARACTER MOVES! 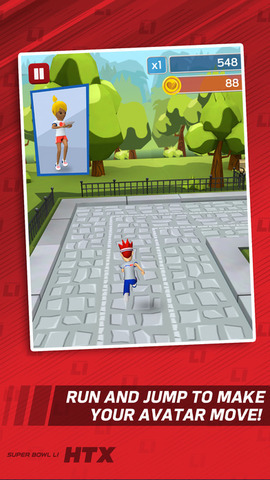 You run, jump, and turn WHILE HOLDING YOUR DEVICE and your character does the same. You move and your character moves on screen. · See your rank on the leaderboard and challenge your friends. · See how many yards you’ve run. · Compare yards run to NFL players and greats. 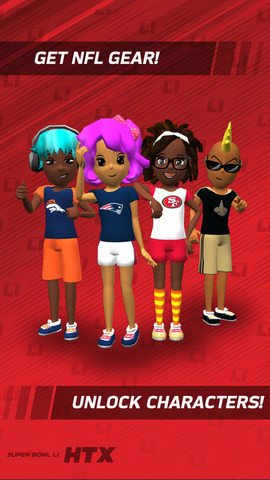 · Collect coins to buy really cool NFL team gear. · Earn stars for a chance at the prize wheel. · Play the daily goal to unlock more rewards. · Jump over fun obstacles. · Get NFL football power-ups that give you 2x points. · Get American Heart Association hearts that make you invincible. · Find activity ideas on how to get moving with your friends. 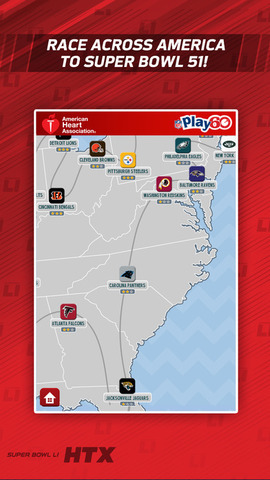 · Get involved with NFL PLAY 60 and AHA through additional resources. NOTE: Supports iPad 2, iPhone 4S, iPod 5, and later models.